The windshield, side windows and rear windows are essential safety elements in your vehicle. Thus, when they are damaged, no matter what the cause, you need quick repair. 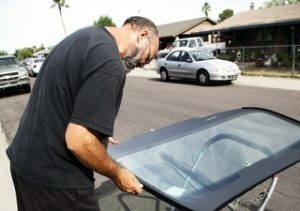 Glas Tek is a reliable mobile service that serves customers in Phoenix and surrounding suburbs in the Valley of the Sun, providing superior windshield replacement and auto glass repair on a wide range of vehicle makes and models, including semi-trucks. Our locally owned and operated mobile auto glass repair provides a wide range of services to customers who need repairs on their vehicles. Your windshield and rear glass do much more than simply protect you from the elements. The uphold the integrity of your vehicle, helping it to maintain its overall shape and safety to the occupants inside. That’s why working with a seasoned repair company when you have a breach in the front, rear or side windows is imperative. Glas Tek has the knowledge and expertise to return your vehicle to its former condition and make it look like new again. Many of our technicians have more than 10 years of experience in the industry, which means they know how to tackle any windshield or vehicle glass situation and resolve it quickly with a minimum of difficulty. When we come to your premises, we inspect your vehicle to recommend the best possible solution to your auto glass problem. When replacement is warranted, we will remove it along with the old molding and prepare it for the new glass. We work closely with all major insurance companies to ensure that you get the proper compensation for the damage done to your vehicle’s glass. In addition, Glas Teck provides a lifetime warranty on all glass installations as well as our workmanship. All of our replacement glass is original OEM auto glass, so you will be assured of the highest quality.